WELCOME to the fifth issue of BYMRr-Zine - a newsletter published by the author of the website Building Your Model Railroad, and devoted to providing news and tips to model railroaders of all ages and all scales in a quick and easy-to-read format. The fourth annual celebration of National Train Day just around the corner on May 7 this year. There will be all kinds of celebrations, shows, displays and train rides for you and the family at over 200 locations across the USA. This also happens to be the 40th anniversary of Amtrak, so the celebration will be even bigger than usual. Check out the website that lists all the events related to National Train Day and pick out one that's close to you. It promises to be a fun and memorable day. I recently downloaded this free Google SketchUp program and was amazed at how easy it is to use to create drawings of structures or even of track plans. This is basically a 3D CAD (Computer Assisted Drawing) program that can help you draw sketches of almost anything, even if you don’t know anything about drawing or about working with CAD programs. The tutorial videos are excellent and easy to follow. If you want to scratchbuild your own structure, scaled to size, to fit in a place where nothing else will fit, this may be a useful tool you can use to draw your own plan. Once you’ve drawn your sketch, it’s easy to cut the styrene to size and put your model together using some of the basic techniques described on the scratchbuilding page. Another way to design and create your own structure is to use the free Kit-O-Mat software by KingMill Enterprises. 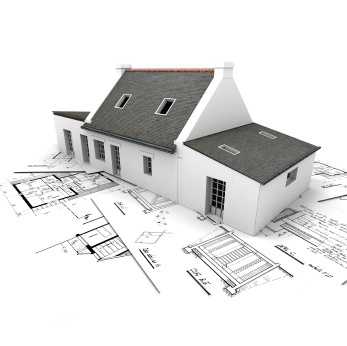 The software will take you through a step by step process to select a basic building form, apply the right dimensions, select the right materials and then add windows and doors. Once you’ve finished with that, you can send the design to KingMill for processing. They will return the processed files to you that you can modify yourself on a CAD program if you are so inclined and then take the files to a sign shop for laser-cutting, which you can then take home and assemble. 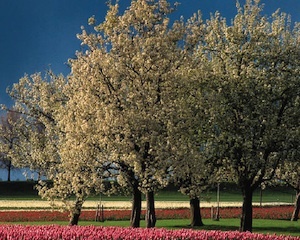 Adding yet another method to the modelers’ library of how to make very realistic deciduous trees, Paul Scoles’ article, “The Scenery Clinic: Pt. XVI: Modeling Deciduous Trees” in Railroad Model Craftsman, May, 2011, p80, describes a method of using sagebrush for this common endeavor. If you’re lucky enough to live close to areas where you can find this in the fields and mountains, and if you can identify it and bring it home, your all set. 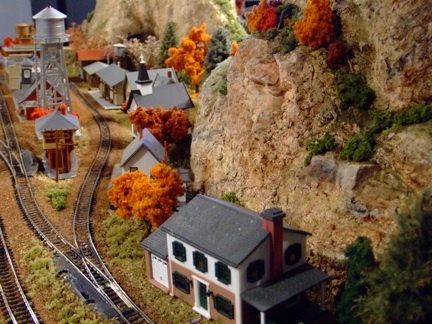 Otherwise, you will have to buy it from scenery manufacturers like Timberline Scenery. Paul uses scraps of Super Tree branches and glues them to the sagebrush tree armatures using Aleene's Fast Grab Tacky Glue . After this dries then spray with Design Master Wood Tone paint. After that dries, then spray the branches with unscented hair spray and sprinkle your choice of ground foam foliage on them. Placing buildings properly on your layout seems fairly simple, but if you think about it, where and how you put your structures on your layout have a lot to do with the esthetics and the realism of your model railroad. 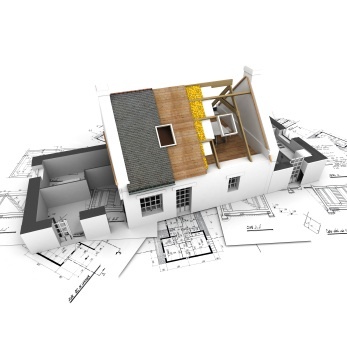 First, you may want to consider building a foundation for your structure. Most kits don’t contain this element of a building. You can make a foundation easily by using strips of styrene covered with paper or cardstock printed with a brick pattern using software like ”Brickyard”. If your building is on a hill, use the foundation to allow the structure to be level while the foundation follows the slant of the hill on the bottom. Second, make sure your groundcover comes right up to the edge of the structure and that your surrounding scenery (bushes and trees) are placed around your structures in a realistic way. Don’t leave big gaps between the bottom edge of the structure and the layout surface. Don’t always have your buildings lining up with the tracks. It’s much more interesting to have them set up unparallel to the tracks with roads leading to or alongside the buildings. Make sure you have a suggestion of adequate parking for your buildings or industries. Create walkways, driveways, fences around houses. Look at reference photos to help in creating the look you want. Don’t forget the details like trash cans, mailboxes, traffic lights, litter on the street, etc. Much has been said and written over the years about track cleaning. Most everyone knows how important this is. If your locomotives aren’t running well, stalling frequently or being jerky, the problem is dirty track more often than not. The absolute best way to clean dirty track is to do it by hand – that is, take your favorite rail-cleaning product, and apply it by hand with a soft cloth, applying pressure on the rail as you go to pick up the dirt. When you look at the cloth you will see the amount of dirt that you’re removing. When you don’t see dirt coming off on the cloth you know that section is clean. This is the best method that I have found, though it is cumbersome and not the most fun thing to do. You can also use one of the eraser type blocks (Bright Boy Abrasive Track Cleaner ) that you can buy in the hobby shop. These work fairly well, but if you have a lot of track to clean, you will go through a lot of them. They get dirty and start falling apart leaving flakes of eraser bits lining your track. For those of us who are lazy like me and would like to find a device to pull behind a locomotive to clean all the tracks while running trains, many devices have been made, tried and used with varying results. I think Aztec Trains probably has the consensus now as being one of the better producers of rolling stock that can clean tracks fairly well, from all that I have read. I haven’t tried Aztec yet so I can’t really give an endorsement. Having purchased 3 other similar track cleaning cars that didn’t work well, I am skeptical, but I am tempted to spend money once again to find the ultimate track-cleaning device. Stay tuned. In addition to track cleaning, one of the best things you can do to improve electrical performance of your locomotives is to apply a thin layer of transmission fluid to your tracks. Wahl's Clipper Oil as been used effectively for this purpose as well. Also, make sure your locomotives are lubricated properly. Read the instructions that came with your specific locomotive to learn how to do this properly. You may have to do this right out of the box since some locos are shipped without having been lubricated at the factory. The instructions should fill you in on this. By the same token, make sure you don’t over lubricate your locos. Very tiny amounts of lubricant applied through a very thin needle-like tube are appropriate. Use a lubricant purchased from your hobby shop that is specifically designed for this purpose. Clean your wheels regularly on your locomotives and also on your railcars. If you send a lot of time cleaning your track and the run trains with dirty wheels, the track won’t stay clean for long. Use metal wheel sets on your railcars when possible. These are easier to clean and usually don’t pick up as much grime as the plastic ones do. Our last newsletter highlighted the fact that Trainz Simulator 2010 is now available for iPad . Well, the newest revelation is that there is a 2012 version now available for your desktop. The new version contains even more layouts/routes to explore and you can now interact with other players via your internet connection!